About the Game of Chess – Constable BV. I want to tell you something about Games. What I want to show is that behind many Games there is a simple structure. If we understand this structure we are more aware of “What the game is telling You” or “What Game is playing ME” or “How can I leave the Game and create my Own Game“. 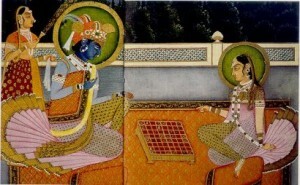 Chess originated in ancient India and was known as Chatur-Anga – Meaning 4 bodied, as it was played by 4 players. The Sanskrit name Chaturanga was also used to describe the Indian army of Vedic times in which a platoon had four parts: one elephant, one chariot, three soldiers on horseback, and five foot-soldiers. The board was known as the ‘ashtapada’ (eight-square). The ancient Game of Chess represented a very old structure, the Four with the Fifth (The Playing Board) in the Middle. The Game was a Scenario Game. The Players could explore the Fixed Structure of the Universe (The Cycle) implemented in the Playing Board using the Roles (The Pawns) that are available in Our Reality that is controlled by the Matrix. Every ancient game has a “mystical meaning“. It was not only used to play but also to learn about “the Game of Life”. Every “old game” can be mapped to a “Standard-Model”. The most comprehensive model is the TAROT. The Tarot is the basic framework for all the old Card Games. It contains 3 levels where every level is an enfolding of a higher level. The Four Forces with the Five (Consciousness) in the Center are expanded into a level of 22 (Higher Arcana) and a lower level of 56 cards (Lower Arcana). The structure of the Tarot, Chess, the TORAh, the I TJING can also be mapped to modern physics. Will McWhinney used the Four World Views (with the Fifth in the Center) to define Game Levels. The lowest level he defined was the Analytical Game. It is a combination of Unity (Models, Rules) and Sensory (Reality). This game is about Mapping A Model into Reality or Testing a Model with Reality. In the Mystical explanation this is the Fight (or Tension or Conflict) between Control (Model) and Desire (Reality, What we See with our Eyes). The Analytical Game is the game of Western Civilization. It can be been seen on every level. In Society it is the fight between the State (Control, Laws) and Companies and Citizens who want to exceed the Limits of the Law. The Analytical Game is also the Game of Competition and War (Winner takes all). If you are Played By this Game you are Out of Control. You are driven by your Ego (Desire) and/or by the Fear to lose Control. If You are Different there are two other forces called Spirit (Mythic, I AM, Imagination) and/or Soul (Social, YOU ARE, Empathy) that are playing a Role in the Game of Your Life. You are playing the Game of the Market (Desire/Impuls vs Soul/Emotion), the Game of Politics (Soul/Emotion vs Control) or the Game of Innovation (Spirit/Imagination vs Action/Desire). The highest Game, The Infinite Game, is the Game of Spirit AND Soul. It is the Game to Keep on Playing by Creating New Games. At this level You are Co-Creating with a Spirit on a higher Level (I AM WHAT I AM). It is a Game without Words and Logic. It is the Game of the Gnōsis (Knowing and Being). When the game of Chess was transformed into a game of Two Players it changed into an Analytical Game. The aspect of Cooperation (Soul, Green) and Creation (Spirit, Yellow) were removed. The Colors Red, Blue, Yellow and Green turned into Black and White. I know many of you think this an interesting way to explain something but Imagine (Spirit) that this was done “On Purpose” (Control). Imagine there is a Force (Ahriman, the Fear to Lose Control, Mind, Thinking, Air, Wind) that is cooperating with the force of Desire (Lucifer, Fire) to take over. It does not want his Expectations of the Future to Fail. The Fear to Lose Control changed the many Games Levels into one level of Play. 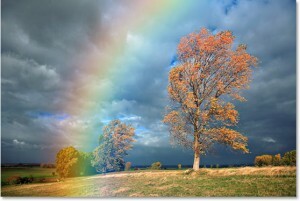 It changed the Spherical Field of the Multicolor Rainbow of Existence into a 2-dimensional Black and White World of Crossing Lines, the Plane of Cause and Effect. It even made it very difficult for people who “Feel, Care and Love (Nurses, Priests)” and/or “See the Light (Prophets, Artists)” to make a living. Imagine You are equipped with one or even two of the faculties this Force is trying to disturb. I am very interested in History. All my life I have spent a lot of time to find out “what happened”. One of my searches brought me to the level of Religion. Religion is the game of Spirit AND Soul. It is about the Experience of Beauty and the Whole. It can be changed into an Analytical Game by enforcing Control, Telling people How to Believe. A part of the History of Christianity can be traced back to the Cult of Mithras and earlier the teachings of Zoroaster . 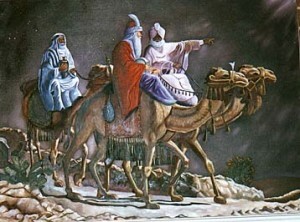 The three Magi who came to see Jezus where of the faith of Zoroaster. Founded in Persia Zoroastrianism is the world’s oldest religion (3500 B.C). Parsis, most of whom have made Mumbai their home, are the followers of this religion. Parsis can also be found in Karachi, Pakistan, and Shiraj, in Iran. Its founder, Zoroaster, was born in Mazar-I-Sharif in Afghanistan! To understand more about Zoroaster I ordered a book called The Teaching of Zoroaster and the Philosophy of the Parsi Religion by S.A. Kapadia. This small book is one of the most beautifull religious books I ever read. The book is about Love. It is about the Eternal Love of Man and Wife, The love for Childeren, The love for the Sick and the Poor, the Love of Mankind and The Love of Nature. Good Thoughts, Good Words and Good Deeds.